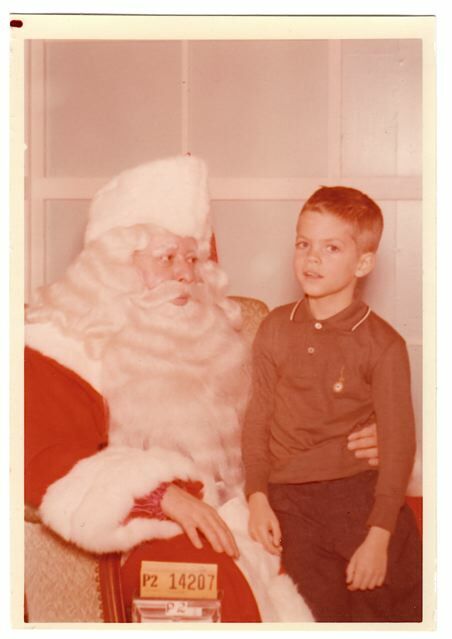 As I recall I was just notified that I was on the "naughty list" for that year. Even under a whithering look I was always quick on my feet. 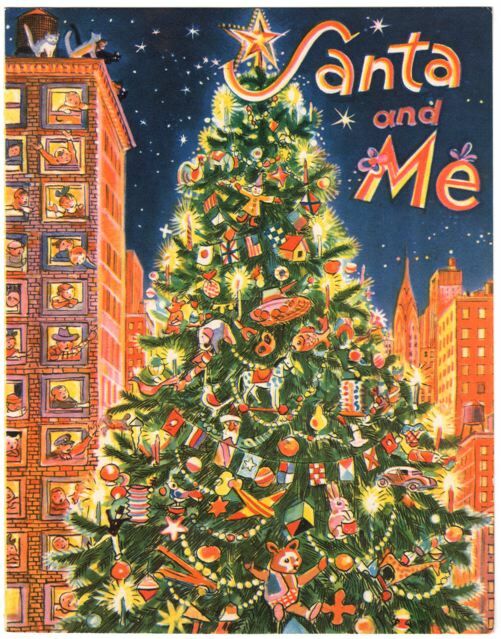 I countered, questioning whether Santa was up on his union dues. Got your number Mr. P2 14207.... and I'm 'checkin' it twice. It was a tense moment in negotiations when this picture was taken. That was a bummer as the Sears catalogue toy section was the BEST! Can't recall the outcome. 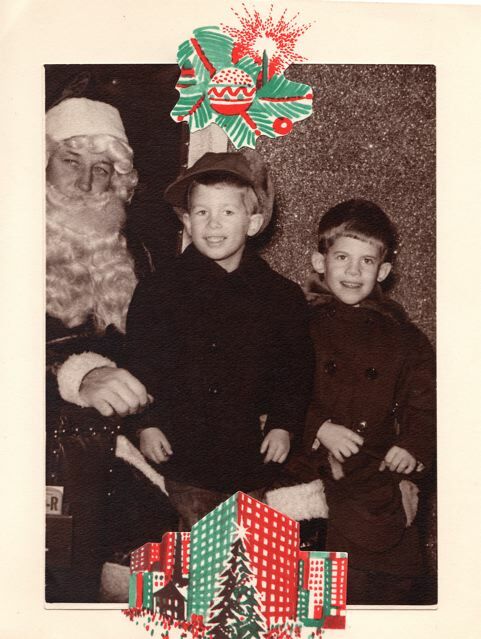 My brothers on the other hand always fared better than I as evident in their classic mid 50's Santa photo. 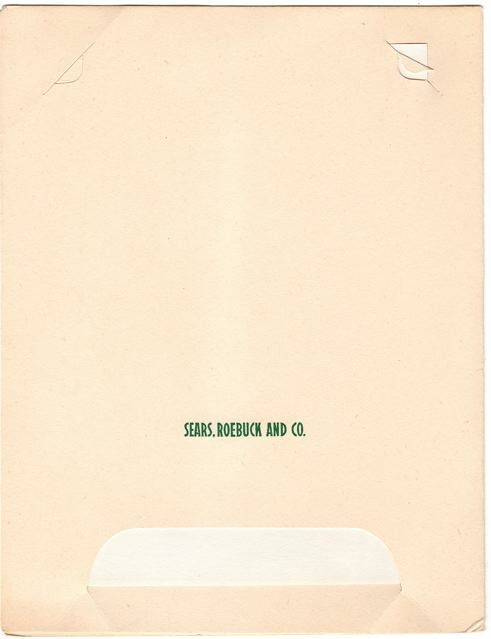 Check out the sadistic Santa on another photo card holder from Sears. Bah humbug! Wow man, the artist they hired that year to illustrate this must have had a rough one. 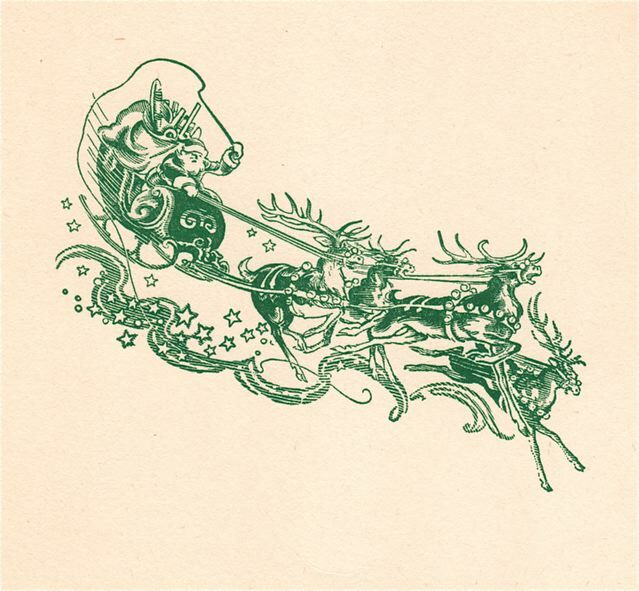 Those reindeer look absolutely terrified under Santa's whip. CHILL SANTA CHILL ! Love these. :) Merry Christmas! Great photo's! Thanks for sharing with us. Much better place and time in life for us all, I'll move back to Michigan when I retire from the job I have in Dallas. Four more years!!! I have the exact same cards and pics from the 50's. Love it. Flint is still my home.